Advertisers and marketers rely on quality market research data to make critical multi-million dollar marketing and product development business decisions. With online panels offering a cheaper alternative to traditional panels, they have become the primary panel source for market research professionals. As this alternative has increased in adoption, the number of market research "spammers" or bad respondents has also increased. Optimus provides a solution to these issues by detecting the following: respondents who take the same survey more than once; respondents who are part of multiple panels; respondents who speed through surveys; respondents who are taking surveys outside specified countries; and more. Peanut Labs, provider of the largest online market research sample, today announced it will be offering Optimus™ for free to any market research firm interested in using this service. Optimus is a patent-pending software technology developed to eliminate fraudulent online responses in order to combat the growing data quality crisis in online market research. Optimus screened over eight million respondents this past month, with a screen out rate of over 15% and a block rate of 4%. Peanut Labs is changing the way the world conducts online market research. With its Socially Networked Sample, Peanut Labs enables online market researchers to make informed decisions based on quality data through its advanced recruiting methodology and over 200 leading online social networking applications and communities. Peanut Labs is based in San Francisco with offices in Seattle and New York City. The company was founded in July 2007 and is privately held. For more information, visit www.peanutlabs.com. 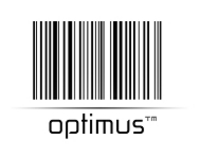 First launched in June 2008, Optimus™ is a digital fingerprinting technology used to dramatically improve the quality of online sample data. Optimus works with almost any existing survey tool or methodology. It uses patent-pending algorithms to filter out suspect survey respondents proven to significantly bias research results, without altering the respondent experience in any way. For more information, visit www.peanutlabs.com/optimus/.